One of the most versatile types of signs. Can be lit using LED, Neon or other custom forms of lighting. Lighting types include Face Lit, Back/Halo Lit, Edge Lighting etc, and can be either be flush mounted, raceway mounted or attached to pans or cabinet faces. Monument signs are most often utilized by churches, residential communities, parks, township buildings and police stations, schools and universities, and much more. They also make excellent signs for businesses and offices. They are frequently placed at the entrance to buildings or complexes, as they give off a lasting first impression and are large enough to provide any information that needs to be displayed. Custom Pylon Signs can help direct traffic to your business location and communicate the message of a single business or multi tenant complex. 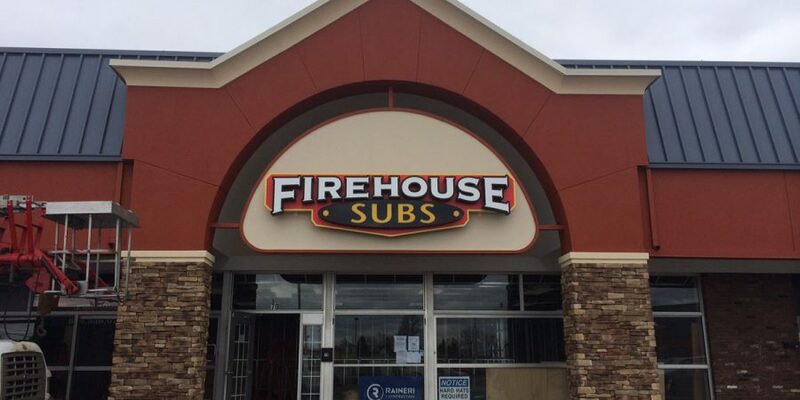 These customized pylon signs are very popular when it comes to identifying shopping plazas and industrial complexes, car dealerships, gas stations, restaurants, mini-malls, hotels, and retail locations. 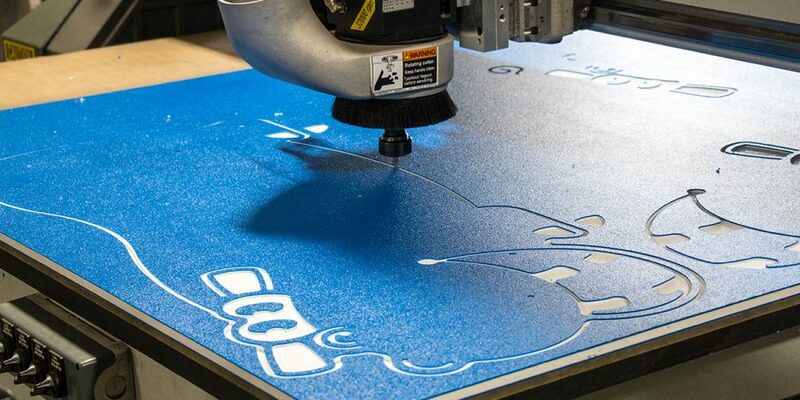 With 3 CNC machines of varying bed sizes with our smallest at 5’x10′ and tool changer options, we are able to effectively and quickly route any job size or material in any of it’s standard made sizes. 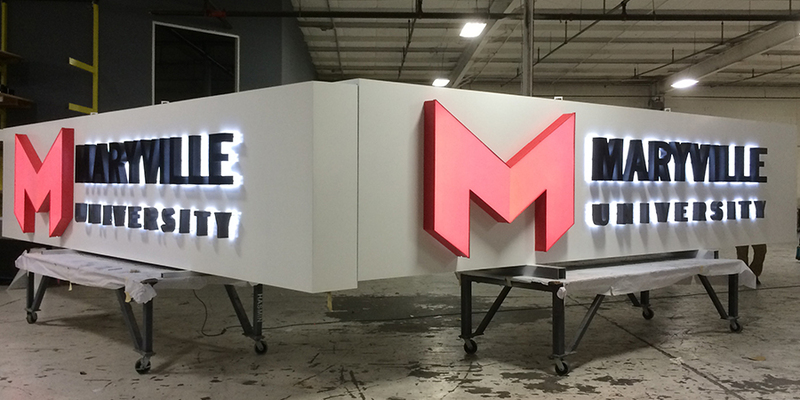 Wood, aluminum, PVC, foam and acrylic are just some of the more popular materials we route on a daily basis. 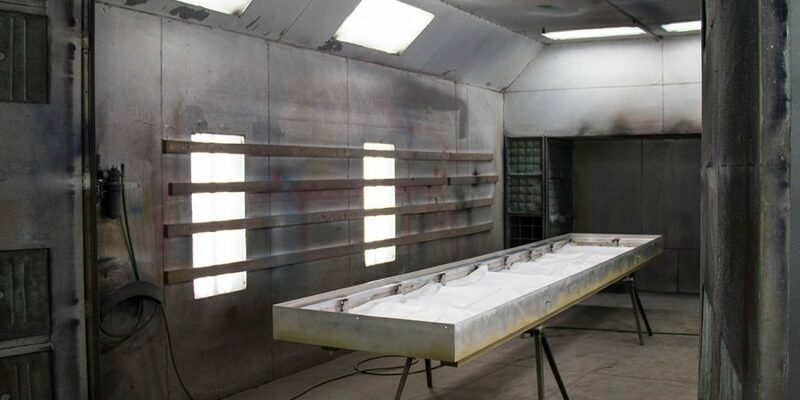 Our large in-house paint booth allows to custom match any client supplied color, using high performance Matthews Sign Paint. 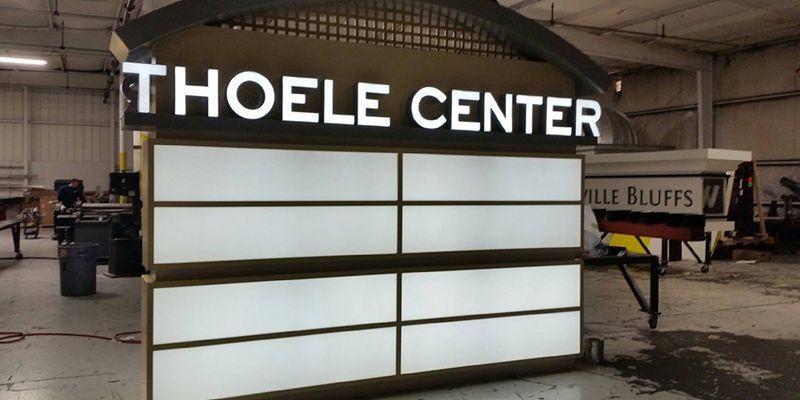 All of our raceway, channel letter, monument sign, pylon sign and fabrication painting is done in house with consistency and quality at the core of every job. We offer standard paint finishes as well as Grip Guard and other specialty textures.